The seven great emperors were also shocked by Ji San’s performance. There had been many successful challengers to the Ranking of Young Lords in previous Martial Pagoda battles, but their victories were mostly due to various accidents and mishaps. A disciple from a great clan who could suppress a true disciple of a great emperor in battle was extremely rare. The seven great emperors had previously felt that Ji San was slightly inferior to a true disciple of a great emperor, despite his fame. However, that slightly inferior Ji San was now suppressing Gu Zhenshan in battle! This dealt a great blow to Gu Zhenshan’s conviction. He ended up losing to Ji San after a long and hard-fought battle. Ji San was the first successful challenger to enter the Ranking of Young Lords! He had replaced Gu Zhenshan as the twenty-first ranked genius in the Rankings. Gu Zhenshan would lose his position in the rankings from henceforth. Ji San’s victory in the rankings caused a great commotion in Veluriyam Capital. The clan lord was also incredibly pleased by the result. His face glowed with happiness. The Coiling Dragon Clan had become a topic of various rumors and discussions in recent years because they’d been keeping a low profile due to the clan lord’s condition. The Majestic Clan had even encroached upon them. It seemed like they were going to overthrow the Coiling Dragon Clan at any moment. They only had the opportunity to catch their breath when the Majestic Clan caused their own destruction after a fateful encounter with Pill King Zhen. Pill King Zhen had then showed the clan lord the means to temporarily halt his cultivation dissipation, which temporarily stabilized their situation. However, following these series of events, the clan still continued to be the topic of various chatter and rumors. Ji San’s victory today had finally turned the situation around by showing everyone the clan’s strength and power. The clan lord understood very well that the victory hadn’t just stabilized the clan’s position; it was also a stepping stone for his plans to turn the clan into the eighth great emperor faction. The only thing left for him to do was to reach great emperor realm, catapulting him and the clan up to the next level. Ji San’s victory disappointed many of the other clans. They’d thought that the Coiling Dragon Clan was no longer to be feared as their days were numbered. However, Ji San’s victory had proven that the heritage of the leading clan was nothing to be scoffed at. He was now officially recognized by the great emperors as an equal to their disciples after achieving victory in the Ranking of Young Lords. An achievement in the Genius Rankings was nothing compared to this. All of Veluriyam Capital celebrated his victory. All allies of the Coiling Dragon Clan were also overjoyed. They’d suffered through a great deal of stress in recent years, but now it seemed like everything was worth it in the end. The Coiling Dragon Clan had finally bared its teeth and revealed its towering might to the world. Mie Chenzi was next in line after Ji San. 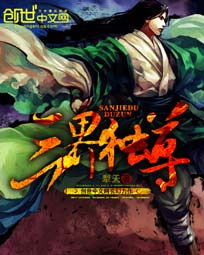 He had to challenge the twentieth ranked young lord since Ji San had achieved victory. The crowd expected Mie Chenzi to be the next victorious challenger, but their hopes were dashed when he suddenly announced that he would withdraw from the challenge. This had caused another great commotion in Veluriyam Capital. Nobody had expected that he’d withdraw from the challenge! Everyone was aware of Mie Chenzi’s strength even though he’d admitted defeat to Pill King Zhen in the Genius Rankings. Many experts believed that he was more than capable of challenging the Ranking of Young Lords. His winning chances were higher than that of Ji San. For what reason did he have to withdraw from the challenge when even Ji San had managed to achieve victory? Had he become disheartened and lost his fighting spirit after the battle with the pill king? What other reason was there for him to withdraw? Jiang Chen was deep in thought after Mie Chenzi withdrew from the challenge. He was disappointed, as Mie Chenzi seemed to have decided to run away with his tail between his legs. Jiang Chen could no longer cause any trouble for him. Mie Chenzi left the arena and disappeared into the crowd without a care for the crowd’s reaction. Jiang Chen wanted to get to the bottom of his true identity, but now was unfortunately not the time to do so. It was his turn to challenge the Ranking of Young Lords. The twentieth ranked young lord was a disciple of Emperor Vastsea. His name was Zhuang Jie. “Brother, be very careful of Zhuang Jie. This man has an innate water and wind constitution. His cultivation encompasses both the towering might of the raging sea and the swiftness of the wind. He’s definitely a lot harder to deal with than Gu Zhenshan,” Ji San couldn’t help but remind Jiang Chen before the battle. He was hoping that Jiang Chen would win so that they would join the Ranking of Young Lords together and become the hot topic of choice in Veluriyam Capital. After all, every single person in Veluriyam Capital knew that they were sworn brothers by now. The entire capital would be singing them praises and there was even a possibility that they would make the annals of history as legendary figures! The rankings were given after extremely strict considerations. The higher the ranking, the stronger they were. What Ji San had said confirmed Jiang Chen’s estimations that Zhuang Jie was much stronger than Gu Zhenshan was, despite having only a one rank difference between the two of them. However, Jiang Chen seemed unperturbed by this information. 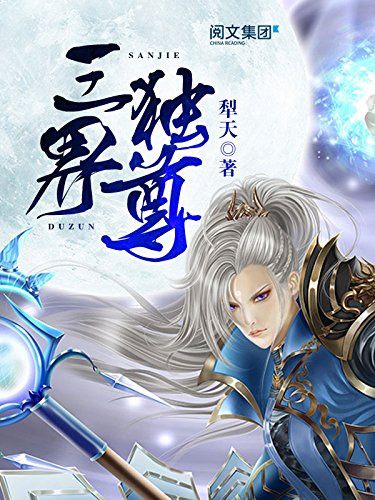 He theorized that Zhuang Jie was only roughly as strong as Mie Chenzi because Zhuang Jie was only one rank higher than Gu Zhenshan, and Mie Chenzi was slightly stronger than the latter. However, one had to consider factors other than cultivation level to measure an opponent’s strength during a martial dao battle. Jiang Chen was also prepared for the unexpected. He was deep in thought as he climbed the spiraling brick stairs to make it to the top of the arena. It was as though he’d comprehended something new with every step he took. The arena for the Ranking of Young Lords was extremely spacious. There were enough seats for two to three hundred thousand spectators. Everyone was content with the fight the previous challenger had put up just now. However, they were hungry for more, as they also knew of Pill King Zhen’s immeasurable talent. They hoped that the pill king’s challenge would be equally as shocking as it was entertaining. The audience was incredibly passionate, but Pill King Zhen seemed unperturbed. It was almost like he felt no pressure from the challenge. He was mentally prepared for a great battle. To the many cultivators in Veluriyam Capital, the geniuses in the Ranking of Young Lords were all existences beyond reach. They were dragons and phoenixes among men. These geniuses were eminent figures that they could not hope to approach. They were as mysterious as they were godly. However, this didn’t mean that the people worshipped them. It was actually quite the contrary. Everyone was hoping for a common cultivator to pull down these young lords from their high pedestals, to bring them down a notch. These young lords were so high and mighty that they weren’t even willing to breathe the same air as the commoners of Veluriyam Capital. They often acted as though it was an insult to mix with the commoners when they were forced to show their faces. Their actions attracted quite a bit of envy and jealousy. They very much preferred young lords that didn’t put on airs like Emperor Peafowl’s true disciple, young lord Fan. Young lord Fan had been a peerless genius but he hadn’t been proud or condescending. In fact, he had been incredibly friendly and would exchange pleasantries when others greeted him. He would even occasionally offer pointers to the slower cultivators. He had been a very reputable person and the role model for many young cultivators in Veluriyam Capital. Jiang Chen had filled in for this need for a new figure to idolize with his Pill King Zhen persona. He’d numbed their regret from losing a great figure like young lord Fan. They hadn’t known who he was at the beginning, but the people slowly came to recognize him after the series of issues that had arisen during Taiyuan Tower’s opening. His name spread throughout every corner of Veluriyam Capital like wildfire after he’d defeated Pillfire City. He soon became the new venerated figure amongst the younger generation. The pill king then partook in the Martial Pagoda Battles as a martial dao cultivator and breezed through the New Star Rankings, even ending up first in the Genius Rankings. How could the people not look forward to his attempt at the Ranking of Young Lords challenge? Forget about a measly twentieth ranked young lord, many young cultivators were certain that the pill king could defeat even the top five ranked young lords! This prediction hadn’t come from a methodical analysis, but from a strong emotional yearning for his victory. They were rooting for the pill king to topple all the geniuses and become the foremost genius in Veluriyam Capital. They wanted him to become their new idol! Only someone as famous and charismatic as him was qualified to be the leader of the younger generation. The young lords were incredibly powerful, but not a single one of them was as charismatic as young lord Fan. Veluriyam Capital needed a new young lord Fan, and the pill king was no doubt the best candidate. Because of that, the younger generation cheered him on with all the fervor that they could muster. They even held up signs and chanted words of encouragement. Fun question for everyone, which cover do you like better? 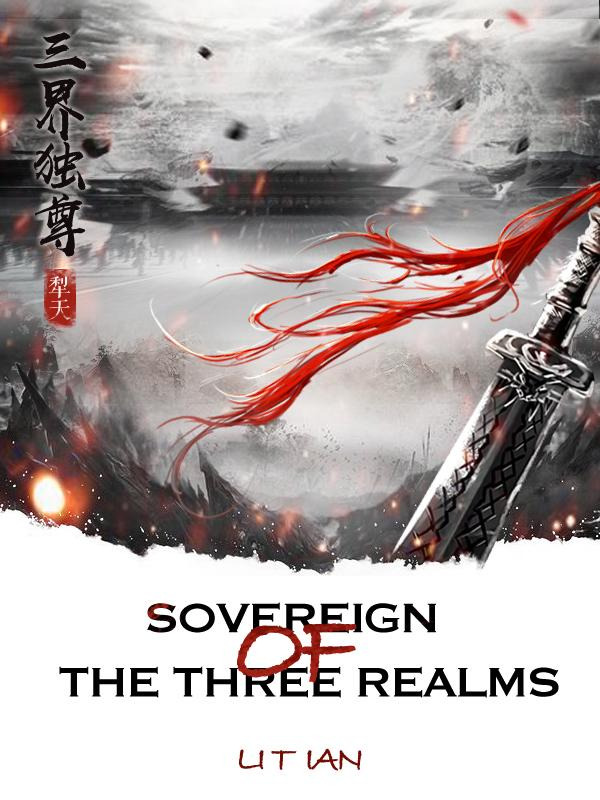 SOTR's had the same old cover for almost a thousand chapters, and GZ recently found the other two that are also being used for SOTR on other sites. 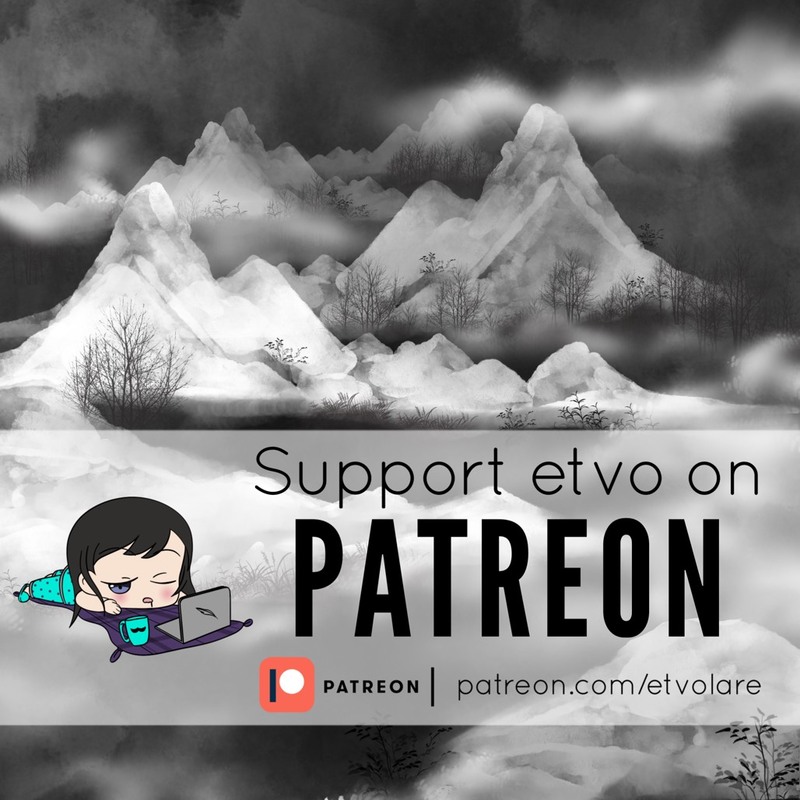 I'm thinking of swapping the cover out, but would love to hear your thoughts! PS. There is no higher res version of the original, this is the best we got!